You've created fast, accurate reports for your users with Progress 4GL or OpenEdge ABL, but they never look as good as modern Windows based applications. It's always been tough to format the reports the way management really wants them with just Progress 4GL. Until now. 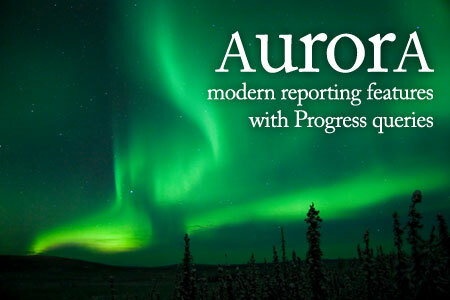 Introducing Aurora, a reporting solution that delivers the reporting features that users demand to Progress programmers. Connect existing 4GL queries with Aurora to create beautiful reports that can be formatted by you or the users. Users can then re-sort, subtotal, reformat and personalize the reports to meet each day's new needs. Safely and quickly. 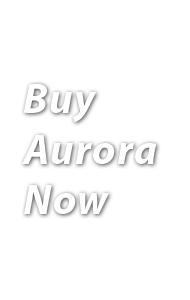 See what Aurora can do with an online demo today! Operations counts on MFG/Pro to run the factory, the warehouse, and to provide great numbers. It does a great job of everything except reports. Getting good-looking, customizable reports is too hard and too expensive. Until now. 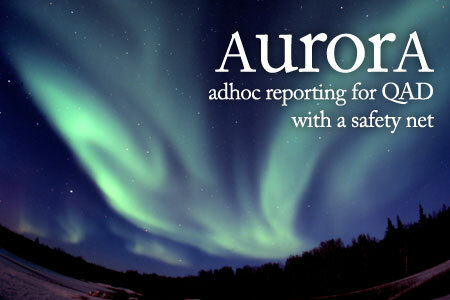 Now there's Aurora, a reporting solution that delivers the reporting features and advanced formatting that users demand, at a fraction of the cost. Users and programmers both can create beautiful looking reports with easy-to-use tools. Users can format, sort, subtotal, and personalize the reports to meet their own needs. Safely, quickly and without weeks of I.T. help. It was unbelievably easy to learn Aurora and make something complicated streamlined for our clients. Need some help? Click here to reach the CornerStar support site or visit the Contact Us page to call, write or email us.